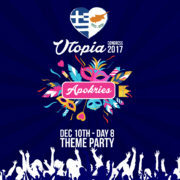 Article written and compiled by Eugenia Papathanassiu. All images have been sourced from a variety of websites. 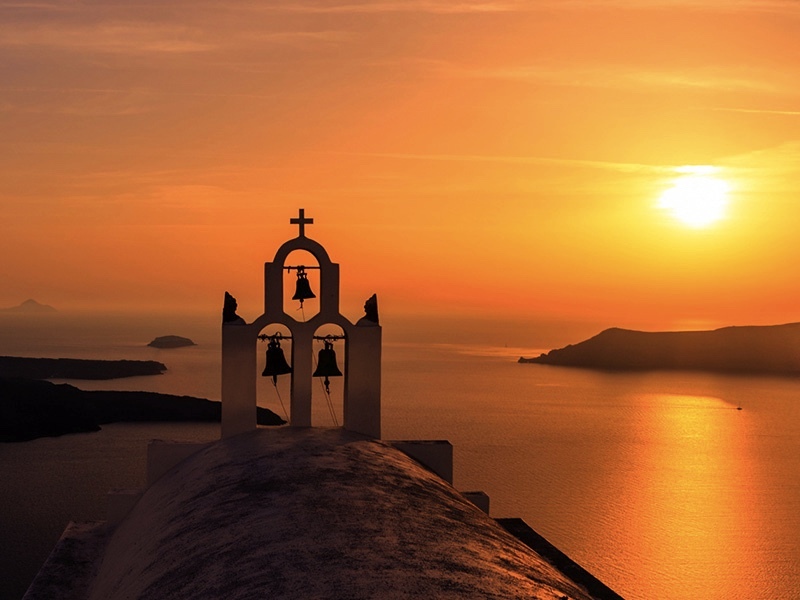 Around 98% of Greece follows the religion of Greek Orthodoxy (shocking, right!?) which means that Greece and its churches are like that chocolate doughnut covered in Byzantine, Cycladic, Venetian and medieval multicoloured sprinkles. 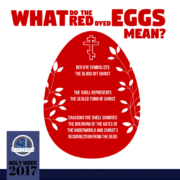 Maybe you believe in Orthodoxy, maybe you believe in some other higher power or maybe you don’t believe at all – this plays no role. 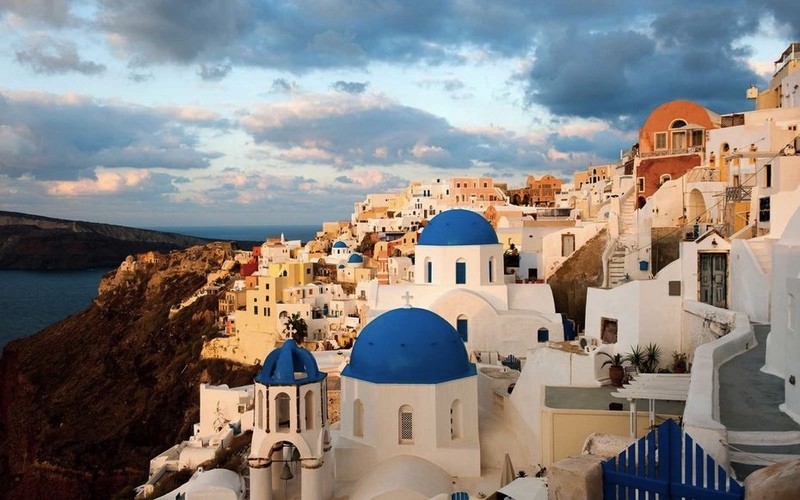 Greece’s ecclesiastical architecture and natural beauty is sure to excite travelers from far and wide. 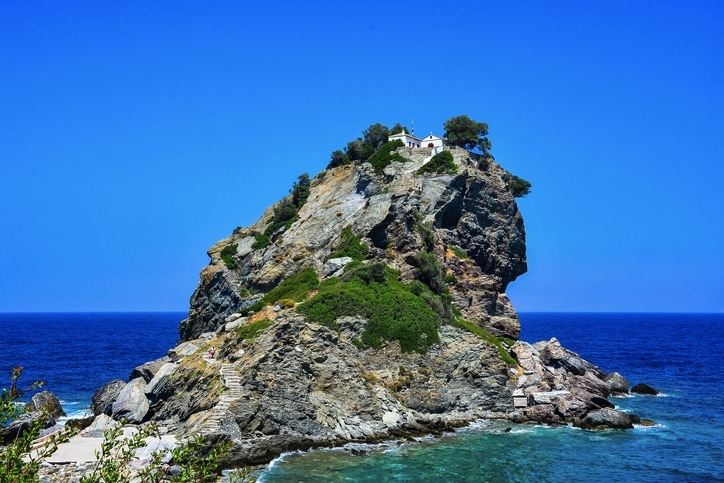 Picture a rock that is emerging into the Aegean and upon it sits an isolated chapel adorned in traditional Cycladic architecture – this is the uncharted Church of the Seven Martyrs. 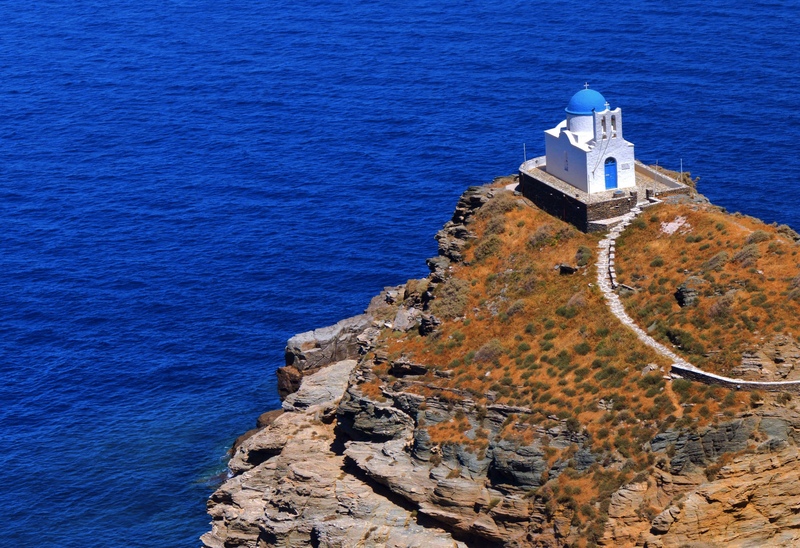 It is situated in Kastro Village in Sifnos and is accessible by a lengthy stone-clad pathway or, if you’re feeling adventurous, you could even swim there from the opposite side. This succinctly represents the style of Greece and how most of the time, only very minimalistic structures are required to compliment the fatherland’s natural splendour. 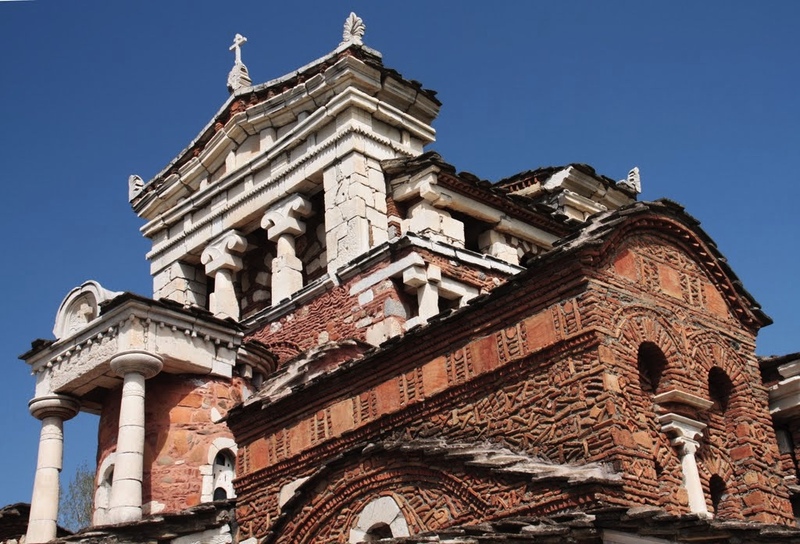 One initially thinks that this ‘’temple-like’’ church is centuries old however its construction actually took place in the 1970s, assimilating design elements from Orthodoxy, Ancient Greece and the era of Byzantium. Actual pieces of ancient remains nearby were used as building material for this monument. Exploration takes place on pebble-mosaicked floors portraying religious, folklore and mythological stories. The slightly misplaced portraiture of figures such as Ariadne, Theseus and Medusa make Agia Fotini particularly unique as the church’s architectural paradox has ignited extensive controversy. Despite this, Agia Fotini shows clearly the beauty of whimsy and diversity. 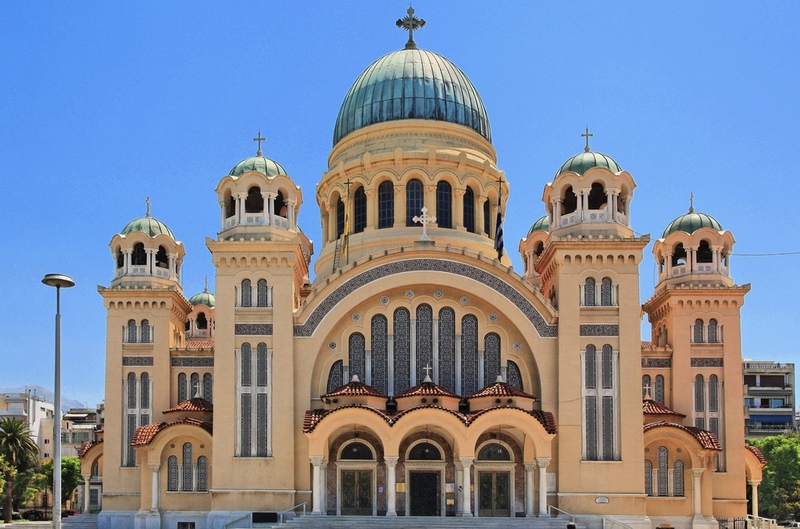 Also known as the titan of Greek Orthodox churches being the largest in Greece and the third largest Byzantine-style church of the Balkans, Saint Andrew’s is certainly a significant destination for christians or ecclesiastical-enthusiasts worldwide. This dazzling basilica is home to a shrine of relics of the apostle Saint Andrew himself, namely his small finger, a portion of the top of the apostle’s cranium as well as pieces of the cross upon which his martyr took place. This is a must-see for spiritually-inclined historians. Kythira’s Agia Sofia differs slightly from the other churches on this list in the sense that it offers a wide variety of stalagmites and stalactites in addition to the occasional religious worship here and there. 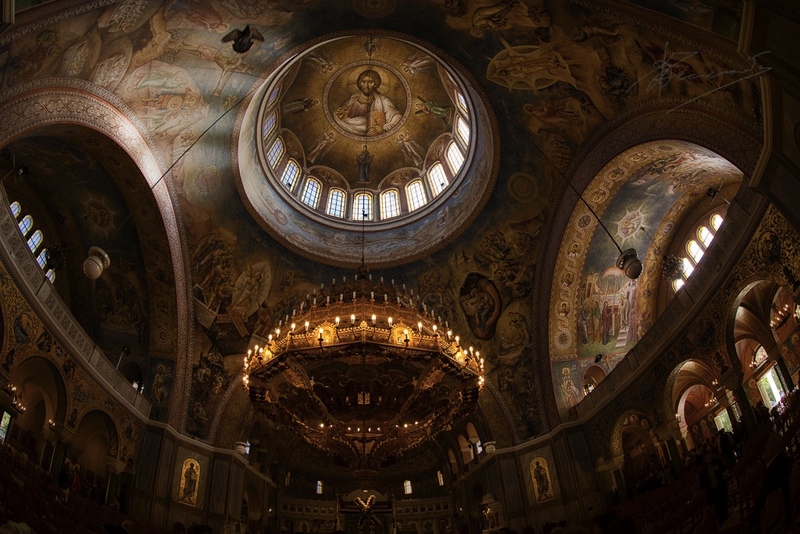 Yes, Agia Sofia is situated inside a cave and was allegedly named either after the fact that the body of the saint was found there or possibly after the church’s dedication to the ‘’wisdom of God’’. 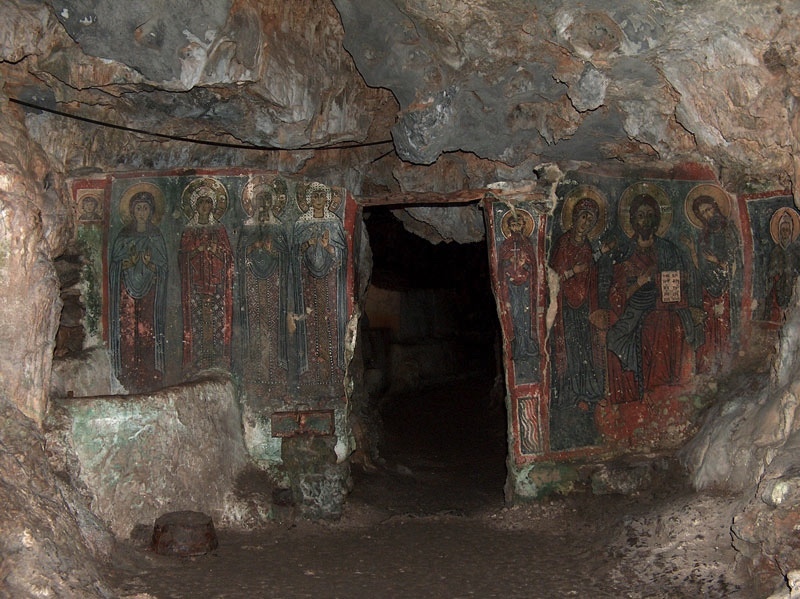 The sometimes-spooky cave overlooks wild landscapes and the Aegean and is decorated with fresco icons from the 13th century. 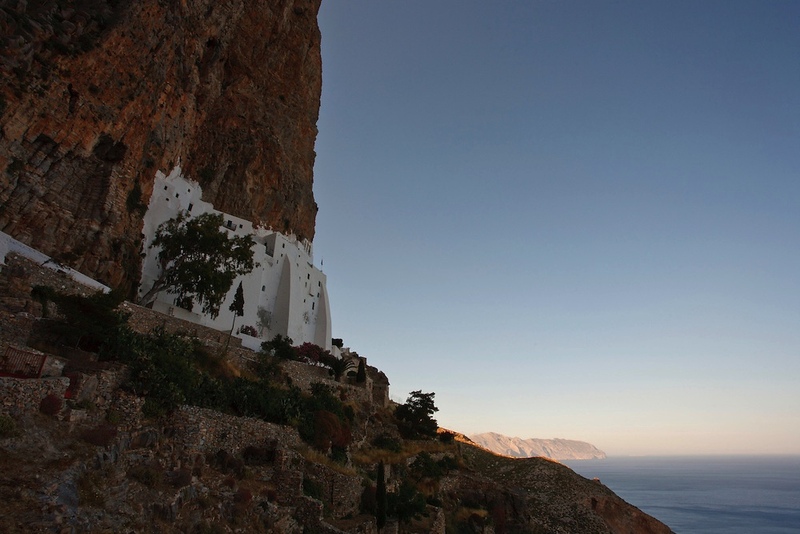 Fans of ABBA, Meryl Streep or musical theatre in general may recognize this idyllic white-washed chapel edged on a cliff over the ‘’ατελείωτο μπλε’’ i.e. the endless blue. This chapel is indeed the very one pictured in the wedding scene of Mamma Mia! and has gained immense popularity since the film’s release in 2008. Reaching the chapel, however, is no easy feat due to the 110 rocky steps in the way but the athletic exertion from a round trip can be adequately eased with a refreshing trip to the small beach that has formed beneath the rock. 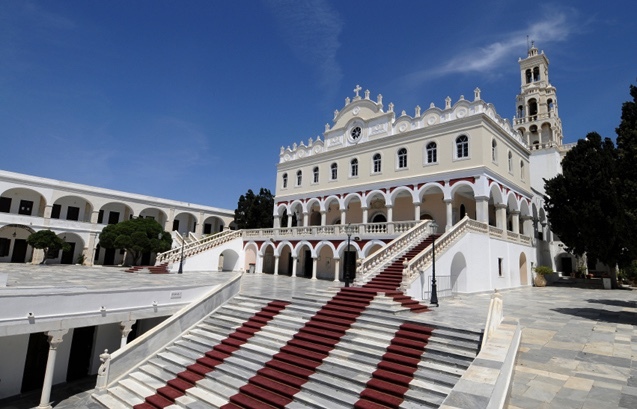 Our Lady of Tinos is a shrine to the Virgin Mary and was established around the discovery of a miraculous icon of her which was found due to a vision experienced by the nun Pelagia. In this vision, the Virgin appeared, revealing this icon’s location. Many pilgrims travel from the port all the way up to the monastery complex on their hands and knees – there is even a red carpet covering this distance to prevent injury. The icon is almost entirely covered in jewelry and other offerings representing prayers from various pilgrims. The periods of the discovery of the icon and the political establishment of modern Greece coincided, thereby advocating Our Lady of Tinos as the patron saint of Hellenes and the state of Greece. 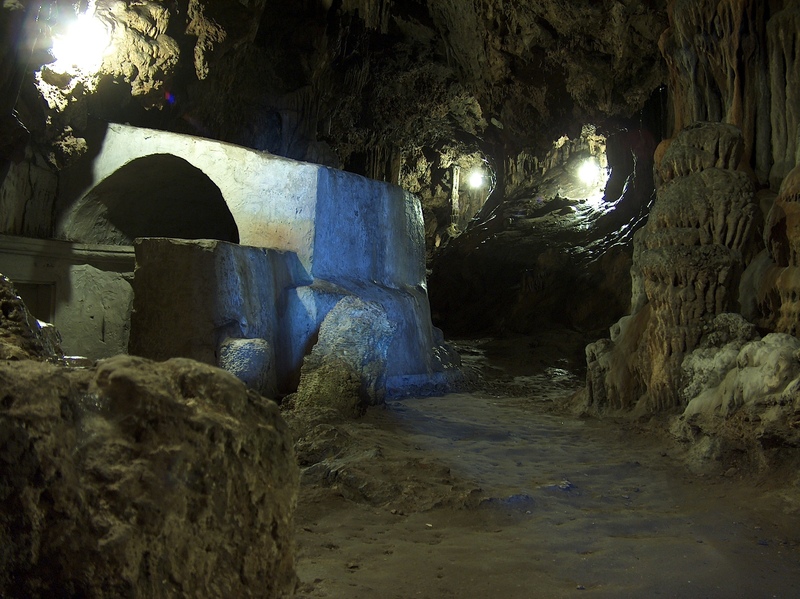 Yet another cave-encased church makes this list. 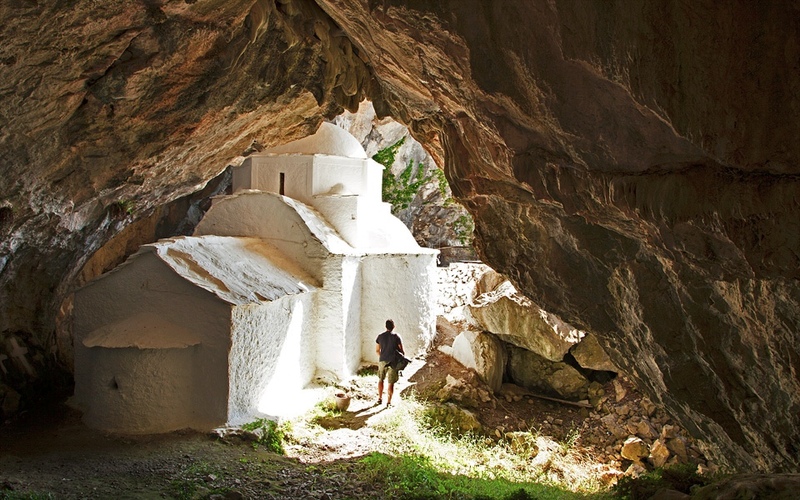 It is believed that Panagia Makrini was built during the 10th century as part of a larger monastery and bones from previous ascetic monks were also found here. Visiting this incandescent site involves an easy hike through a lush forest and cool caves surrounded by turquoise in typical grecian fashion because, after all, life is more about the journey than the destination. 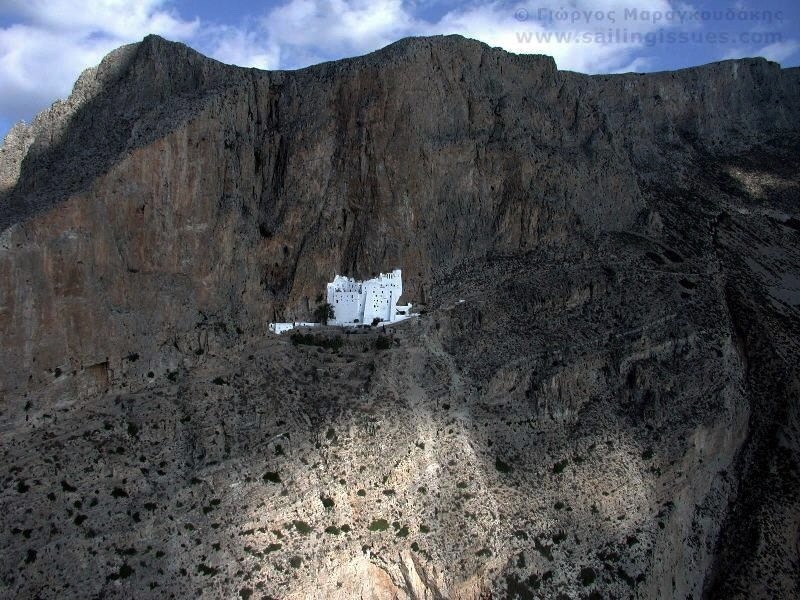 This monastery is nestled in a rock 300 meters above sea-level on the charming island of Amorgos with roughly 300 steps to cover en route. The monks that live there offer fresh water, raki, loukoumia and friendly conversation to visitors upon their arrival. There are also many welcoming cats that keep the visitors company as they enjoy breathtaking views and gentle winds. Appropriate attire is required, so if you plan to visit the monks of Hozoviotissa during the summer months, be sure to cover up. Men are required to wear trousers and women must wear skirts. 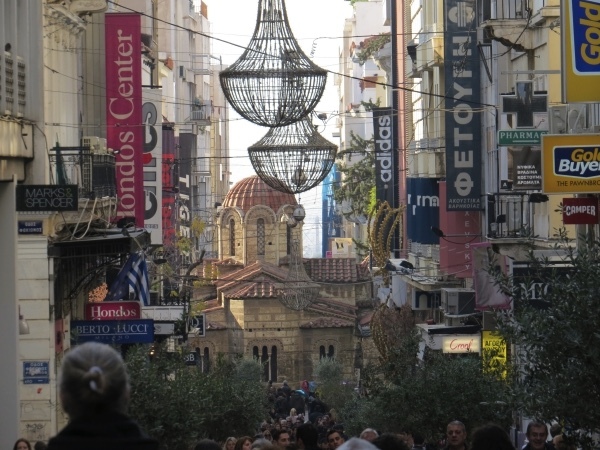 If you’ve been shopping on Ermou or exploring the old Plaka district, it is very likely that you have bumped into one of the oldest churches in Athens. The external elegance of this small piece of Byzantine architecture contrasts the informal hustle bustle that surrounds it. Panagia Kapnikarea differs vastly to most of the churches on this list as it is not in some remote location enveloped in Mediterranean aqua. 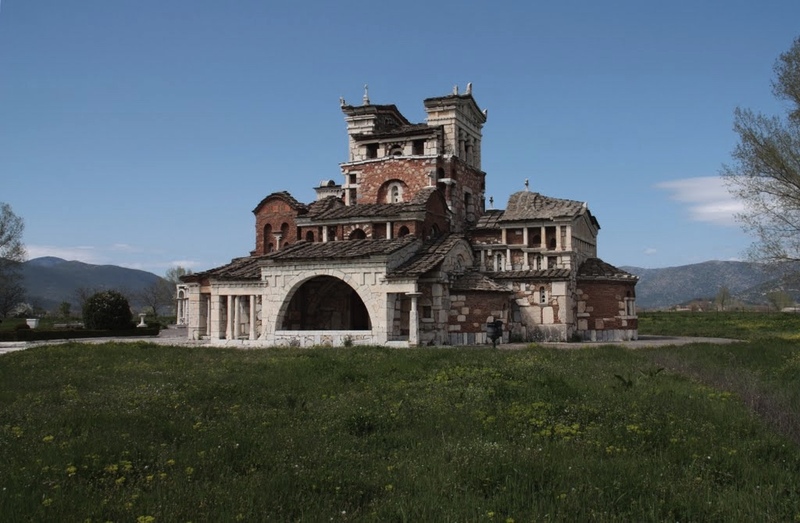 It is very easy to access, yet it still maintains the same kind of mystery, if not more, than the grand monasteries we have been discussing on this ecclesiastical journey through Greece. 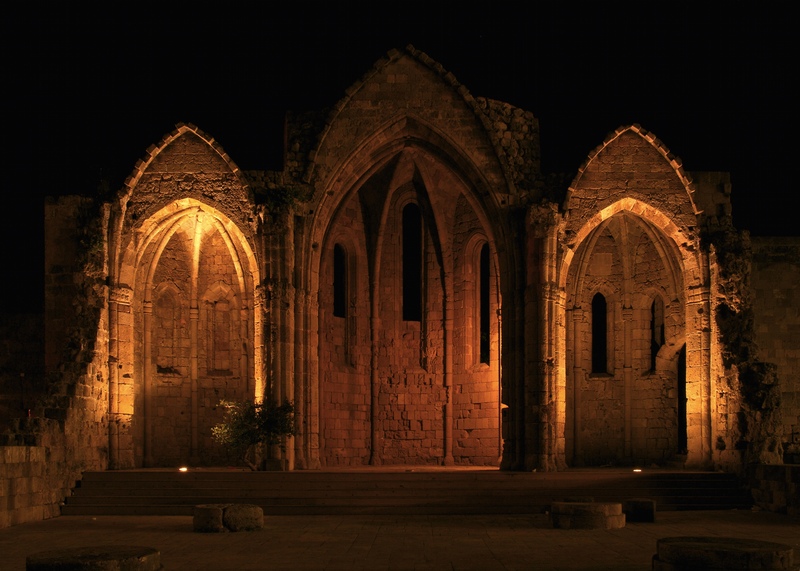 The terms ‘’gothic architecture’’ and ‘’Greece’’ rarely coalesce, but when they do they fuel a talking point – especially in the Dodecanesian island of Rhodes where styles of Italy, medieval Europe as well as traditional and Hellenistic Greece have mingled. 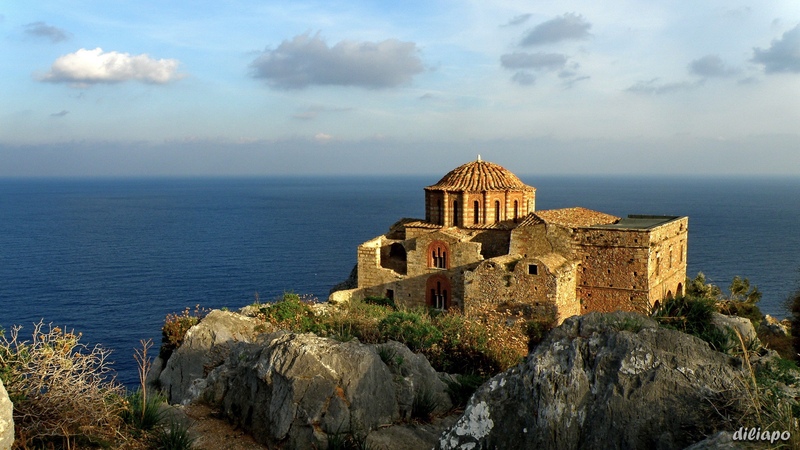 The island on which Panagia tou Bourgou sits is already so culturally rich, but the dramatic impression made by this church simply introduces its observers to the alluring architectural legacy of the island. Although the church does not operate, there are many cultural events that take place there. 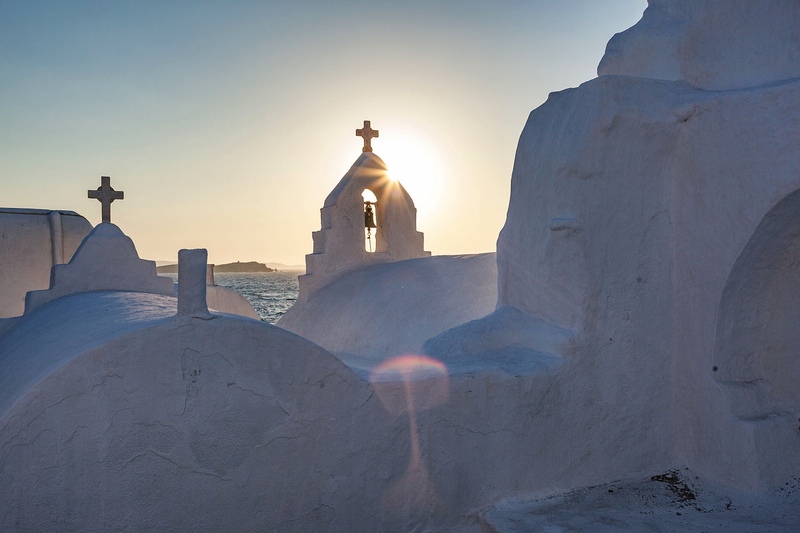 How many times have you marveled at that classic image of the epitome of Cycladic architecture? You know, the one offering panoramic views of Santorini’s caldera and scatterings of white-washed villages on the hills? Yes, that famous blue dome that you often see on post cards belongs to the church of Agios Spyridonas and just behind it is another blue domed church, Anastaseos (Resurrection). Just imagine making a pitstop at this sanctuary as the sun drowns itself, dramatically in the blue horizon. It would be a very utopian moment. 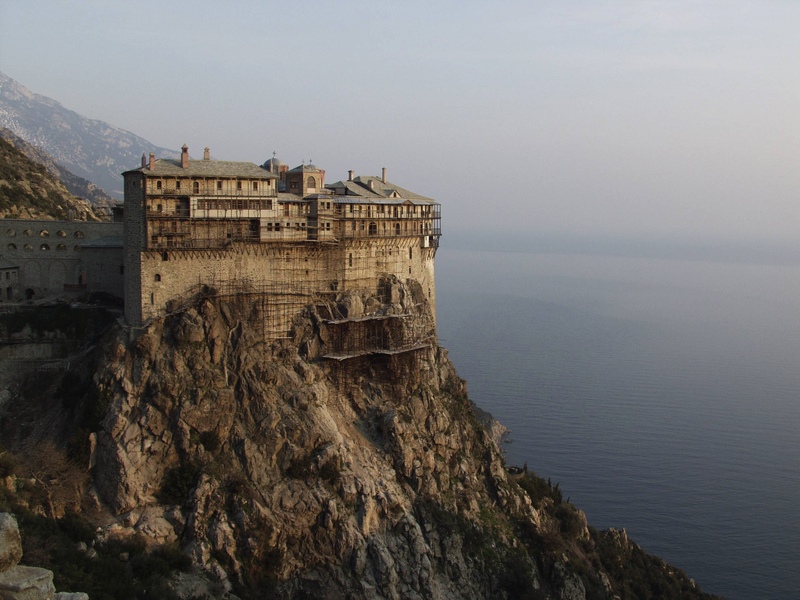 Mount Athos is a remote peninsula up in Northern Greece, housing around 2000 monks and 20 Eastern Orthodox Monasteries. One can see bearded monks and priests performing daily activities along bright hued streets. Entering this monastic state is rather difficult, however, and not because there are hundreds of steps in the way. All visitors are to submit a copy of their passports to the Pilgrims’ Bureau of Mount Athos and must wait to be admitted. Women and children are also not permitted – even female animals haven’t cracked the nod. That’s right… Mount Athos does not have cows or chickens. One reason for this is that it was believed that the Virgin Mary converted the region’s inhabitants after having been wafted toward them on a ship during a storm. Over centuries, the monks have dedicated the land and their lives solely to her. Another reason for no women is simply to make the celibate lifestyle of the monks a little easier. There was time in the 1821 revolution against the Turks, however, when women and children were taken care of by the monks in the Holy Mountain as this area was protected due to an agreement between the monks and the Turkish authorities. The women and children were then transferred to the Aegean islands during a period of safety. Thank goodness for photography though! 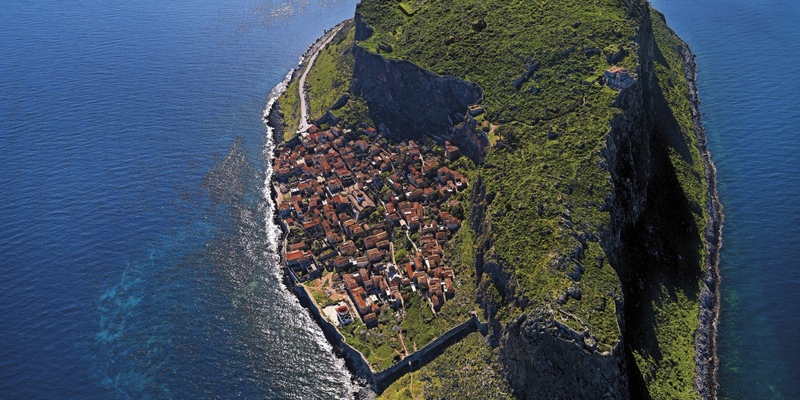 Wars and ages have periled this ‘’living museum of Byzantine, Ottoman and Venetian history’’ situated at the highest point of Monemvasia (a tiny island connected to the Peloponnese via causeway) which overlooks the Aegean and the village below. One can notice multiple architectural amendments due to the turbulent past that surrounded this significant church. It was once a Catholic Convent during Venetian times, and was reverted after the Greek War of Independence by being dedicated to ‘’the Wisdom of God’’ i.e. Agia Sofia. Don’t forget to take some sunscreen and water on your way up! 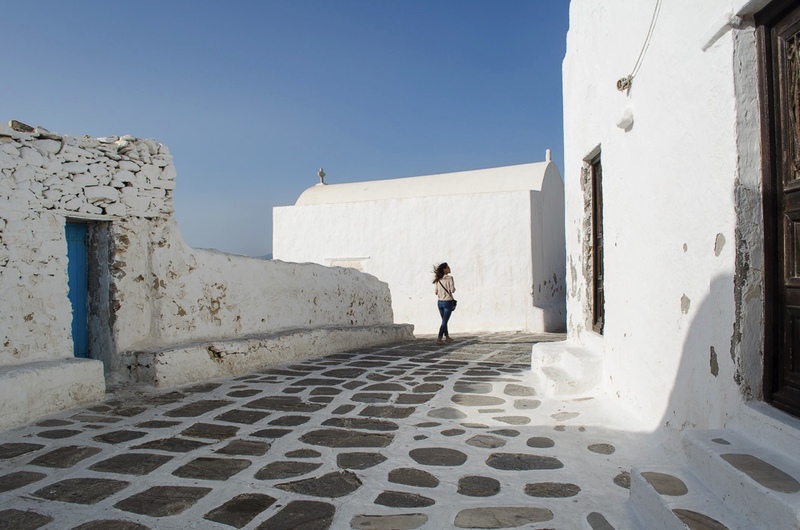 An all white Byzantine church on a Cycladic island begs many questions: Why is it so simple yet so fascinating? Why does it look like a stack of illuminated marshmallows that have melted on a blue tablecloth? Do people come here to repent for their sins after a night at Tropicana? Not all of these questions can be answered, but the allure of Paraportiani lies behind the moment in which you randomly bump into it on your way back from Little Venice or the famous windmills. You are taken by surprise and you feel intrigued by the pink bougainvillea, the frosty finish of the walls and the rippling water. Excellent Instagram material, if you ask me. 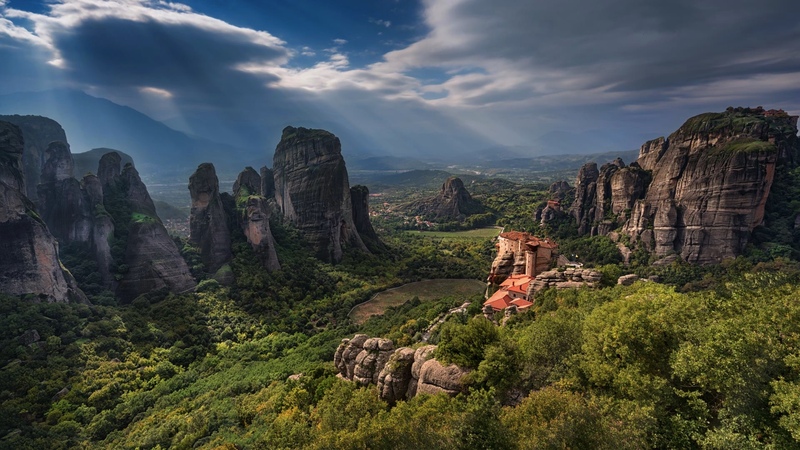 Last, but certainly not least with its gargantuan appeal, is the Meteora and its six monasteries constructed upon composite pillars formed naturally by the surrounding rock. Monks and nuns would climb up to various caves on ropes and they would become hermits and pray. Every few days, they would lower the rope to collect food from their monasteries. The hermits would eventually die very young in their pursuit of sainthood due to hunger and exposure to the elements. 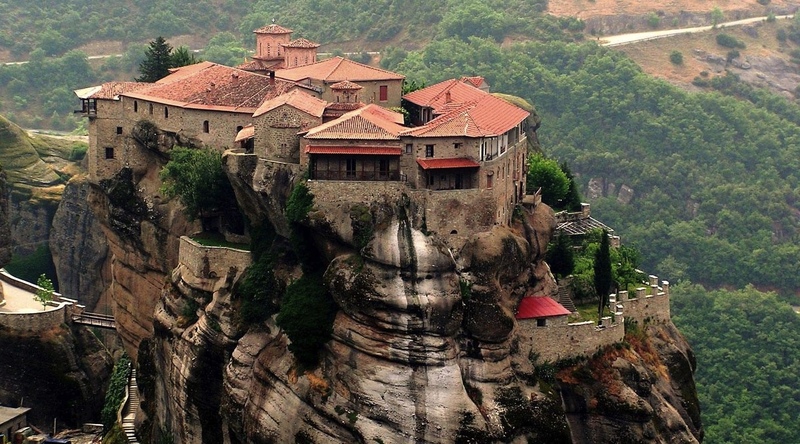 Visit the Meteora if you enjoy hiking to the less accessible monasteries (the easiest one to access is the nunnery, Roussanou), if you are seeking peace and mysticism or if you feel like walking through something out of Game of Thrones. The cliffs of the Meteora – reaching heights of up to 400 meters – are the perfect place to seek isolation and spiritual elevation. Upon entry of the monastery, proper attire is necessary but visitors who are not dressed accordingly will not be rejected as skirts and shawls (for the women) and long pants (for the men) can be loaned.